Play Dazzle Me for real! In the line of Starburst™, Sparks™, Twin Spin™ and Reel Rush™, you can also find the Dazzle Me™ slot at the many NetEnt Casinos. It is because of their distinctive reels, Wild reels, glitzy symbols or linked reels that I compare the above slots with the Dazzle Me™ slot. It is like all the best of these NetEnt slots have been brought back into one video slot game and therefore I really do believe Dazzle Me™ is a winner. Get ready to be dazzled by one of NetEnt’s most glamorous video slots, providing an unforgettable experience thanks to its glittering gems appearing on the radiant reels. Dazzle Me™ is different from other video slots bringing five distinctive reels. The first two reels do offer a standard three symbols, but number three and four are enriched with four symbols on each reel while the fifth reel shows an impressive five symbols. This innovative lay-out is the reason you are offered a dazzling 76 bet lines. 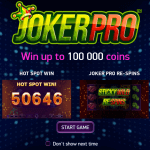 Besides the distinctive reels and an impressive amount of bet lines, this brilliant slot game also features Dazzling Wild Reels, Free Spins and Linked Reels. Immersed in a world full of jazzy gems, I am pretty sure the Dazzle Me™ slot looks familiar in some ways as its gem symbols are often used in computer games like Bejeweled for example. 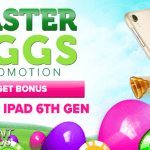 If you are among those millions of players worldwide who enjoy playing NetEnt slots, I am sure you do recognise the glittering gems also from a video slot developed by NetEnt and launched at the NetEnt Casinos a few years ago after which it became one of the most popular NetEnt slots. Of course I am talking about the Starburst™ video slot, the same video slot that introduced Wild Reels which can be found in the Dazzle Me™ slot as well. Besides a glamorous theme, a distinctive but original lay-out and a great gameplay, Dazzle Me™ is also offering a wide range of betting options. The minimum bet is 0.20 at every single NetEnt Casino while the maximum bet can vary. The maximum amount can climb up to an impressive 400.00 a spin depending on the amount of coin values available. First of all you can choose to activate a maximum of 10 bet levels responsible for your winning chances which will be available at every single NetEnt Casinos. The amount of coin values will vary, but if all present you can choose from eight different coin values and with that a maximum of 400.00 a spin. Even though 76 bet lines are available, the minimum bet has been set to 0.20 instead of 0.76 whereby this NetEnt slot is recommended for a large group of players, no matter if you like to play with small or large stakes. 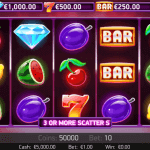 Whether developed by NetEnt or any other software supplier, it is not very often I see a video slot with so many slot features available as Dazzle Me™. Not only do you get 76 bet lines to play with, there will also be Dazzling Wild Reels as seen before in the Starburst™ video slot, the reason this particular video slot became such a big success. 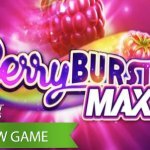 Different from Starburst™, the Wild Reels in Dazzle Me™ do appear on all five reels while this video slot has been enriched with a Free Spins feature too. 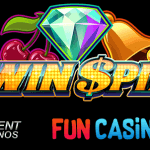 Just when I think that a video slot can’t offer much more when it comes to the slot features, I notice the popular Linked Reels feature, as seen before in Twin Spin™, becomes active during Free Spins. Wild symbols, Sticky Wild features, Wild Reels, I’ve seen them all, but never before there was a video slot available offering a Wild Reels feature with the ability to appear on all five reels. I have to admit that this type of slot feature can end up in colossal wins, one a video slot is absolutely much worth playing for and the same goes for the Dazzling Wild Reels feature in this amazing video slot. You will understand why when realising that the Wild symbol stands for any other slot symbol in the Dazzle Me™ slot, except Free Spins symbols, responsible for many more winning combinations. A true spectacle will become reality though when four or more reels are entirely covered with Wild symbols, one you don’t want miss out on. These two slot features form a perfect combination if you ask me which totally fits the Dazzle Me™ video slot. Three or more Scatters will activate Free Spins in which Linked Reels will make sure many more winning combinations will appear. This particular slot feature has proved to be successful in the Twin Spin™ video slot and I am sure it will do the job in Dazzle Me™ too. Even though only available during Free Spins, Linked Reels do have an important role to play in this feature as it will be at the beginning of each free spin two identical linked reels appear adjacently on the reels. 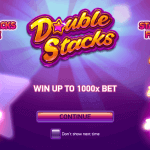 Of course this will have a positive impact on the amount of winnings during Free Spins, the reason why I am pleased to see this particular slot feature back in the Dazzle Me™ video slot.